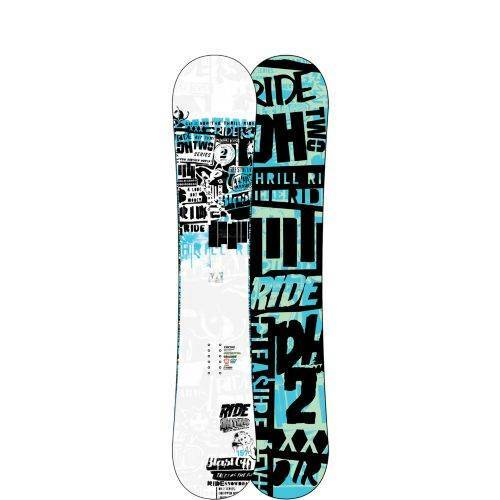 The Ride DH2 is the last remaining offspring of the DH line. 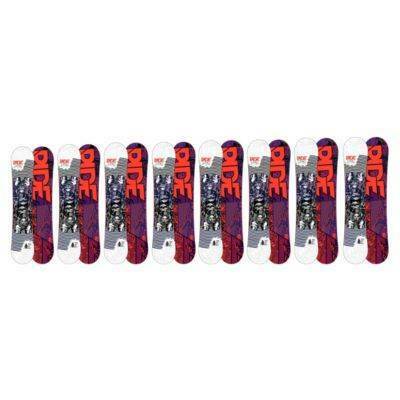 started out as a great camber board that we really liked. It won a few awards but then kept multiplying into other boards with the variation of the same name like the DH 2, DH 2.1 and so on. It’s hard to keep track of it all. The image that shows what the hybrid camber is like doesn’t look like that when you see it in person. When we looked at the board it mainly looked flat. When we looked closer you can see a very small camber between the feet and when you push down the tip/tail rise up a bit more than a standard camber board. On Snow Feel– Even though this is a twin we were pleasantly surprised with it’s ability to move around the mountain on any type of groomer or stop in the line of jumps or pipe. It’s got a nice almost camber feel to it. It feels like the aggressive DH but it just doesn’t have the same consequence attached to it if you screw up. Powder: We didn’t have any powder this day but we can tell this would be better than the Camber DH but still not as good as many of the other hybrid rocker or mostly rocker hybrid camber twins out there. Turn Initiation and Carving– We liked the Turn initiation because it wasn’t terribly easy to transition from edge to edge. It will take a little work and could be challenging for Beginners and Intermediates. We found short radius turns to be pretty fun and wider radius turns to be a bit more fun than the short radius turns. When we layed into a carve it felt almost like the DH Camber and it was fun for a twin. 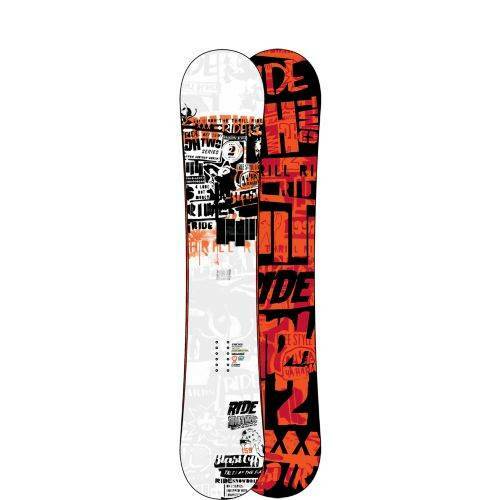 Speed: This is a ultra damp twin with a good base that can handle speed very well for a freestyle board. 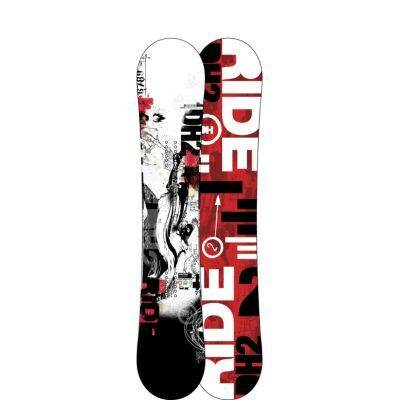 You can have fun on the mountain with this and straight line regular and switch if you have the balls. We had no issues going fast on the DH2. This ultra damp feeling also causes the board to feel dull at lower speeds. 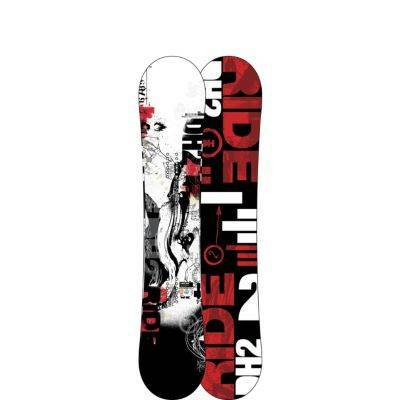 It doesn’t have reverse chatter like some boards do but it makes the board feel like it’s 1.5 times thicker than it is. Some people will love this and others might not. Approximate Weight– It’s no light weight board but its not heavy either. It’s more in the middle of the scale. If you are sensitive to heavy boards riding on the chair this might be border line. On the hill it won’t feel terrible. Edge Hold: We were a little disappointed with the edge hold. 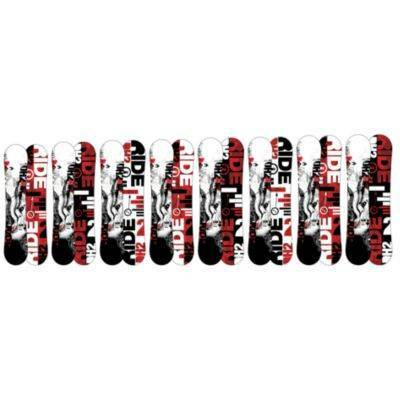 We really want more when it comes to edge hold for this type of board. It held and edge on a carve in firm conditions but it didn’t have that confidence inspiring grip when it came to hard pack turns. We both held back on laying into the edge and really leaning into the turn. 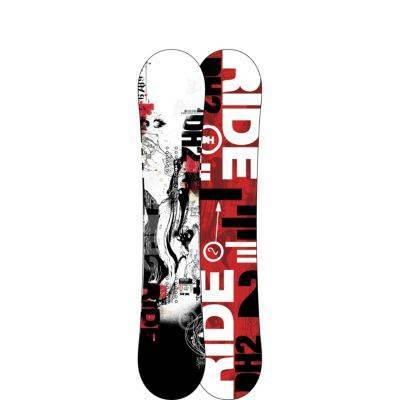 This would not be a board we would recommend for anyone who rides in hard to icy conditions. 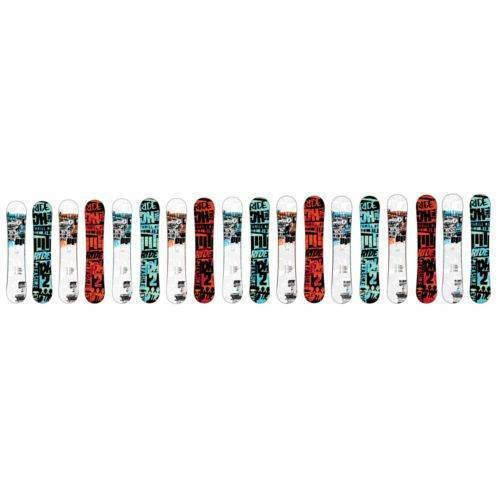 We aren’t saying put magnetraction on it but just put something extra in there instead of something that feels like a traditional side cut that rides similar to the old school camber boards. Flex: This is on the stiff side of medium and wasn’t really very playful if you want to butter around the mountain. 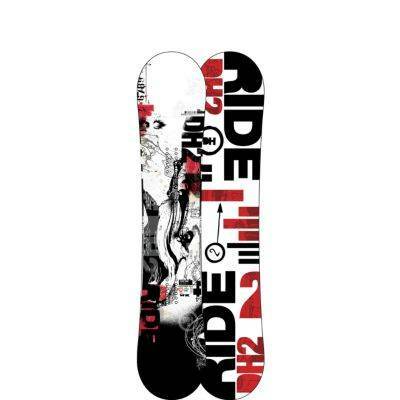 It’s more catch free than the Camber DH but this isn’t what this board is made for. Switch: To us there was no difference riding switch vs. riding regular. Jibbing– You can go to the jib park with this but you would be happier in the pipe or hitting jumps. Pipe: If you ride mainly in good conditions in the pipe this will be a very fun board. 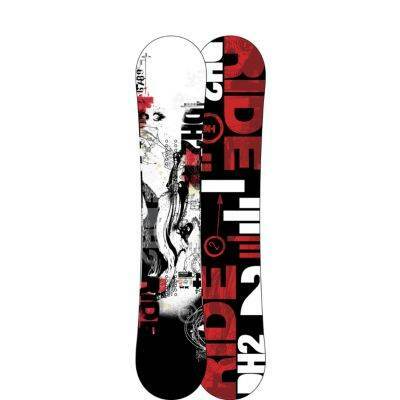 However it lacks the ultra grippy edge that will make riding an icy pipe fun. Still we liked the feeling of the DH in the pipe and if you like a stiffer pipe board then you will be pretty happy. Jumps: We liked the spring of the DH camber better than the DH2 but also felt this had a bit more spring than many of the flat/rocker ride boards we tried. Still this is really fun to lap the roller coaster park and hit kickers of any size. Overall this isn’t a bad board and we felt this was more fun than the Machete we tried but not quite as lively and responsive as the Arcade UL. We would like to see Ride take their UL tech to the DH series and the Machete because we feel it would make these boards a lot better. 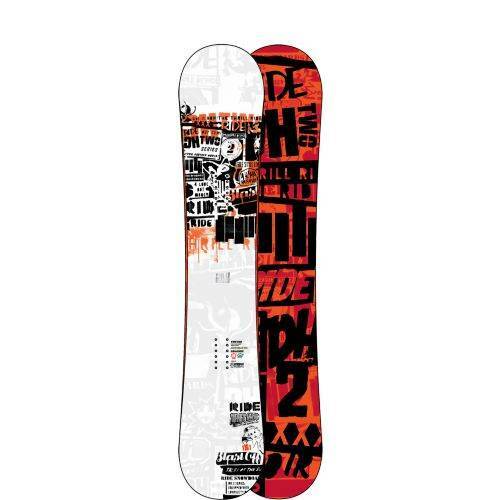 Still the DH2 can be a very fun board for the rider who gets good snow and likes to spend most of their time pulling freestyle manuvers at higher speeds all over the mountain. 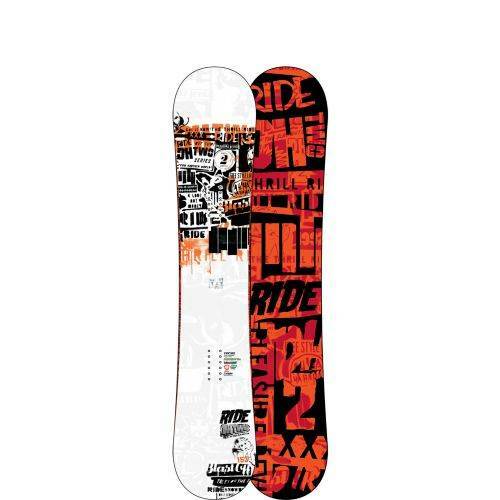 The 2012 and 2013 models are a hybrid camber profile (2011 was flat to rocker) that offer a lot of similarities of the DH but make it a little more forgiving and a little easier to float in powder. 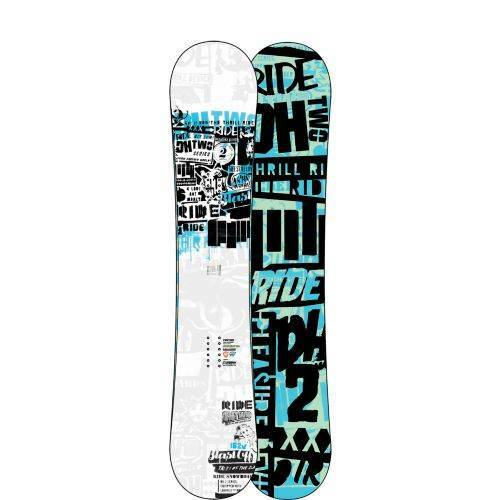 The DH2 changed in 2010, 2011, 2012 and a little bit in 2013. In 2011 there is a change from low-rize rocker to prorize rocker. There is also the addition of pop rods which is a better version of the pop stixs from 2010 but it’s still pretty much the same concept. Do we feel it helps? A little bit. Do we feel it has mad pop like Ride says? No but they are moving in the right direction. The 2010 and 2011 doesn’t have the magic of the old camber DH but the new design might work for many riders. It is a more forgiving catch free ride than the camber version. For 2012 The DH2 changed again with different sizes but even more important they added a hybrid camber shape. The 2013 is pretty much the same but with a few refinements like what they call “Popwalls”. It’s an improvement in the right direction but it didn’t reinvent the board. 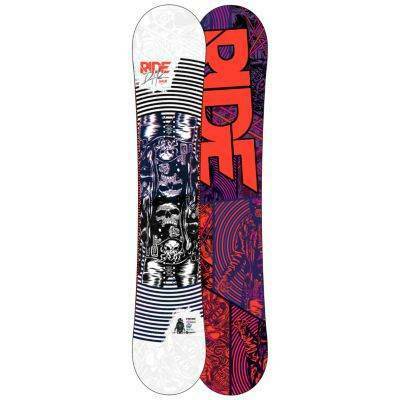 It seems Ride is more happy with the hybrid camber version and they are sticking with it for a bit. We try to get as many images of the Ride DH2, but forgive us if they're not all there. 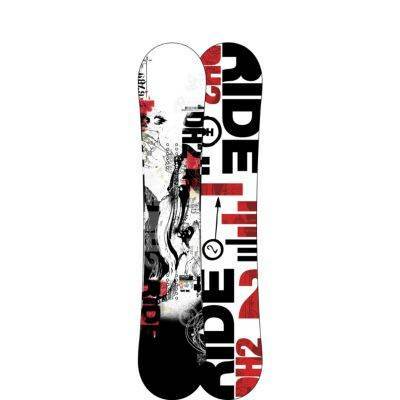 I bought this board two years ago before I went on a three month trip to the snow and rode it hard all season. I then continued to ride it the season after that and then took it to Canada also. This thing can take a beating and still rides like did when i bought it. This is a nice and stiff board which holds together well whether you're straight lining down groomers, cruising the park or slashing through pow. I ride a 155 and its a bit small for me now but i still have no trouble riding it. I love this board so much and am gonna be sad when i have to say goodbye to it. 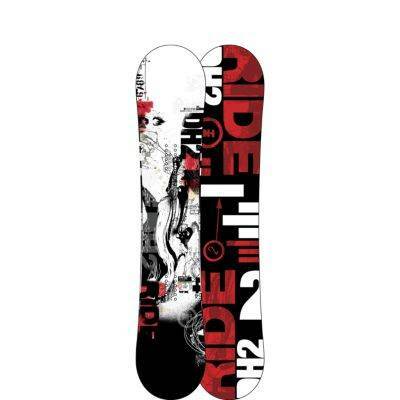 Bought the 2011/12 board after renting one with Ride Capo bindings for a few days last season. I loved it from the first turn! The damp ride really works for me as I usually ride fast, softer hybrid boards don't perform like this, I've found. It feels super stable at any speed (it didn't feel sluggish at slow speeds to me but I had the 155 as a rental which is about as small I go with a board) and the edge hold was great, even on a very cold and hard morning in -35c!... with a wider stance it rode like a skateboard:) The stability makes it great for hitting jumps on the mountain. It's got a real confidence inspiring feel to it. 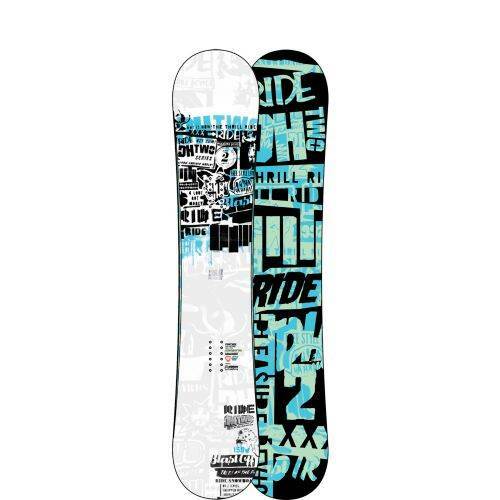 I didn't take it into the park but based on the qualities I've seen I'm sure it would be great for kickers and pipe, maybe not so for jibs and rails, as the site review says. 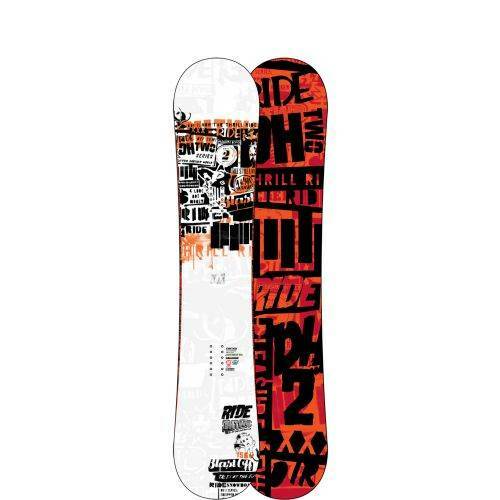 After a lot of renting I've finally found a board I can get on with and gives me what I want. The damp feeling Ride boards are known for was really exciting the first time I set off, it felt so solid underfoot it gave me the confidence to straight line at speeds that had felt really shaky on other boards. The base is super fast too. It's got good spring when you want to jump and again is nice and stable on take off and landing. The only place this was less than great was in deep powder off the side of the pistes, however, my rental board was a 155 and I am 5'10" and 80kg so I've bought a slightly longer 158 which I expect will help a bit. The powder ride wasn't a deal breaker though. 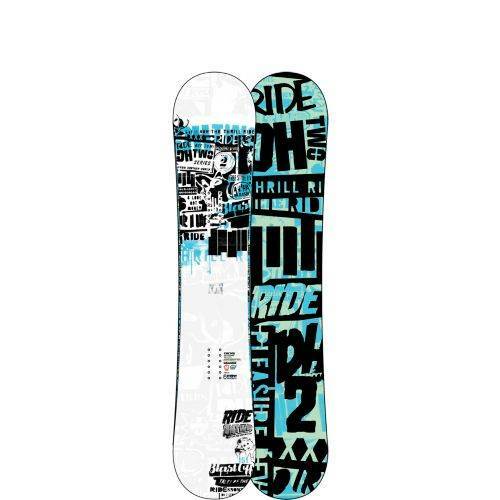 It's is a great board!